Description: After five years, tragedy brings Hannah Casey back to Hurricane Creek to bury what’s left of her family. She’s flunking out of college, haunted by scandal, and the only person who cares is Sean Whitlow, an irresistible bad boy with a soft spot for her. The problem? He’s her dead sister’s ex. My thoughts: Yes, this is another contemporary romance where something emotionally traumatic happened in the characters' past which they're now trying to deal with and it affects a new romance. Yes, this type of story comes up again and again. But I love them. As with any romance novel, it's about the journey. Hannah has come back to the town she grew up in after she inherits her childhood home. She wants to come back, do the dutiful daughter stuff, and then leave again as quickly as possible. Of course it doesn't go that smoothly and as she struggles to deal with what happened in the past and what is happening now, she finds other things to lean on to 'help'. And while she really wants to like Sean, there are secrets her late sister confided in her which would tear him apart. The chapters alternate between the two perspectives of Hannah and Sean and I really liked getting to see what was going on in Sean's head and life from his own perspective. Another thing I really liked was the community of Hurricane Creek which Joelle Knox introduces. There are some great side characters who I'm looking forward to seeing more of. However, I felt like a bit too much time in this story was spent focussing on the couple who star in book two of the series. They're Hannah & Sean's best friends (of course) so it's understandable that they should feature heavily in this story but at times I felt like Anything But Broken was their story as much as Hannah & Sean's. The problems of a first-in-the-series book, I guess. The other criticism I have is that I thought some of Hannah's 'big secrets' about her sister were very easy to guess. Overall, I did find this a very enjoyable read and I'm looking forward to the sequel. This was a fun contemporary romance and introduced some characters who I really want to see a happy ending for in future books. Joelle Knox is the pen name for one of my favourite authors but if I hadn't known that, I would never have guessed! This book really proves the versatility of the author. Overall I'm giving this book 6 out of 10. Description: This is a funny and moving love story about friends, first loves and self-discovery by Queen of Teen 2014. When sixteen-year-old Toria Bland arrives at her new school she needs to work out who her friends are in a crazy whirl of worry, exam pressure and anxiety over fitting in. Things start looking up when Toria meets the funny and foul-mouthed Polly, who's the coolest girl that Toria has ever seen. Polly and the rest of the 'alternative' kids take Toria under their wing. And that's when she meets the irresistible Nico Mancini, lead singer of a local band - and it's instalove at first sight! Toria likes Nico, Nico likes Toria, but then there's Polly...love and friendship have a funny way of going round in circles. My thoughts: I didn't know much about this book until I saw Juno in conversation with George Lester on George's YouTube channel. 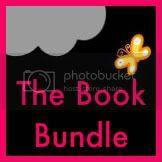 I really liked the sound of the story & was lucky enough to win a copy in George's giveaway. All Of The Above starts with Toria on her first day at a new school, for her penultimate year of high school. She’s quickly adopted in to a group of friends who, if we’re using high school group stereotypes, would be the ‘alternative kids’. The main characters apart from Toria are [name], Polly and Beasley. The story follows them, through Toria’s eyes, through the year. It’s hard for me to review this without feeling like I’m doing it a disservice. It’s a girl and her friends in high school, like you’ve read before. What’s it about, beyond that? Friendships. A first serious relationship. Physical intimacy. Eating disorders. Self-harm. Figuring out your sexuality. Breakups. Some people might dismiss it as being too many ‘issues’ crammed in to one book. But that’s rubbish. If they think that, it’s been too long since they were a teenager. In a friendship group, there are so many things going on at one time and I think Juno Dawson captures that perfectly. She also manages to make it laugh out loud funny in so many places, and grabs you by the feelings in others. I cried on the train to London reading one part - and if you’ve read the book, it probably wasn’t the part you’d first guess. It’s a rollercoaster of a book, just as a year of high school is and absolutely captures being an older teenager. 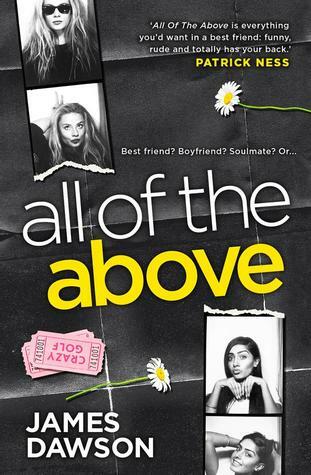 I'm giving All Of The Above by Juno Dawson 9 out of 10.